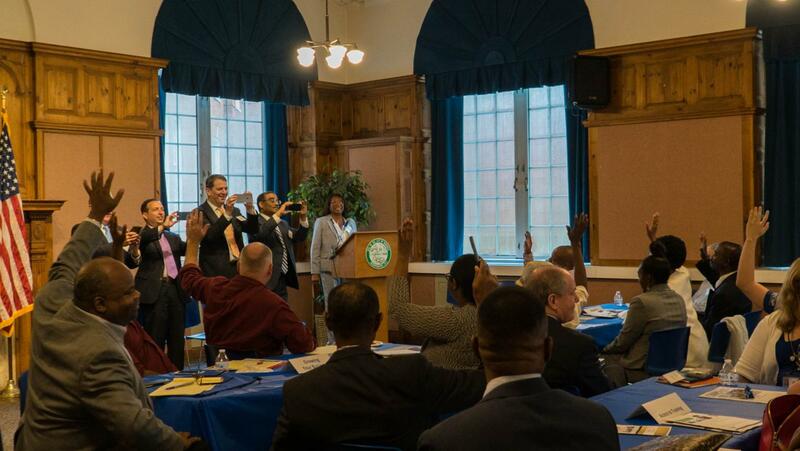 The small Minority Owned Business Revolving Loan Fund Kickoff event was co-hosted with the Department of Economic and Community Development (DECD) and took place at Norwalk City Hall. Businesses had the chance to partner up and speak with various business resource partners about assistance including representatives from the Black Business Alliance (BBA), Spanish American Merchants Association (SAMA), Women’s Business Development Council (WBCD), Procurement Technical Assistance Program (PTAP), Small Business Development Center (SBDC), DECD Small Business Express Program (EXP), HEDCO and the City of Norwalk Economic Development Office. If you were unable to attend, but would still like to learn more about assistance available to your business or if you or someone you know is interested in starting a business please, feel free to contact my office.